Cassette tape comes in a variety of shades of brown...all are somewhat somber and none are particularly uplifting to weave from an emotional standpoint. So, I tried something a bit different....I got some OSHA yellow spray paint and gave the darkest brown cassette tape I had a light dusting of yellow. 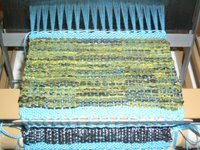 The result is a lovely variegated green when woven against the blue warp. 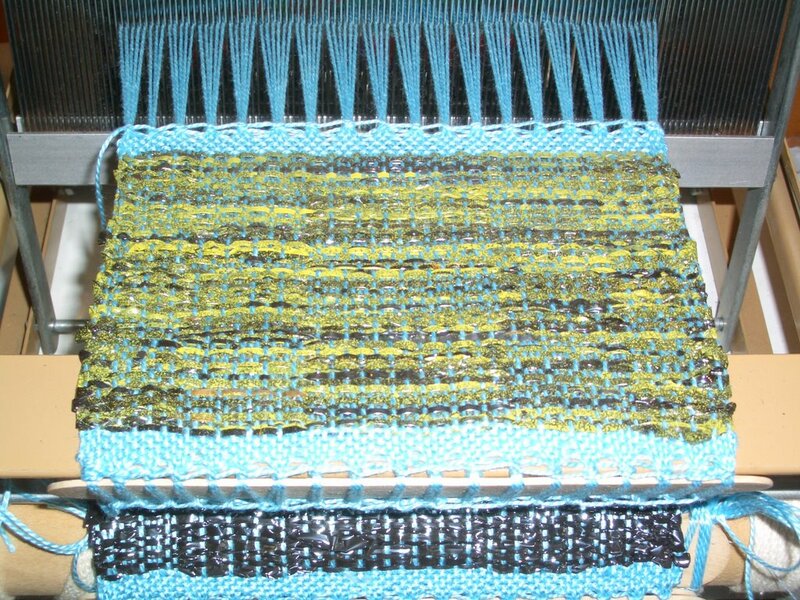 The variations in color mask the crackle pattern when woven as a single weft without a tabby as shown in the photo. I'll need to try the pattern with a tabby to see how it looks. I am also going to try some other colors of spray paint that happen to be sitting in the garage.